For the second time the Muslim community of Lyon arranged the "Nights of Ramadan" at the fair ground of the city. The program consisted of concerts, exhibitions, panel discussions and lectures. 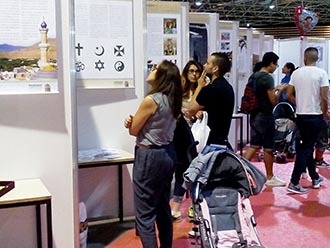 The activities were open to all citizens of Lyon regardless of their faith, to meet together and to learn about Islamic culture and traditions. 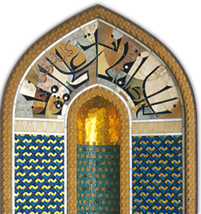 To broaden the knowledge about the diversity of Islam, the organizers requested to show Oman's exhibition about Islam and life in Oman. 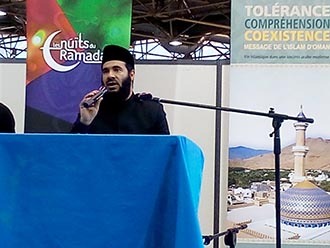 The "Nights of Ramadan" were officially opened by Mohammed Said Al-Mamari with a speech about tolerance and the peaceful coexistence of faiths. More than 20 thousand people participated in the activities during the "Nights of Ramadan."